Cockpit is a free, open source, system monitoring application. It is ideal for monitoring basic services and system health and works perfectly fine. It lets you start/stop or monitor services using both web based interface and command line. If any service is erroring, you can see the error in Cockpit web browser interface. It lets you monitor multiple servers using a single web interface, simply install cockpit on all of your systems and add them into a single web interface. It is a very useful tool for beginner system administrators and lets them monitor almost all important aspects of their system’s health. It is primarily designed to run on CentOS, Fedora and Redhat Enterprise Linux operating systems. It is not yet supported for Debian based systems. 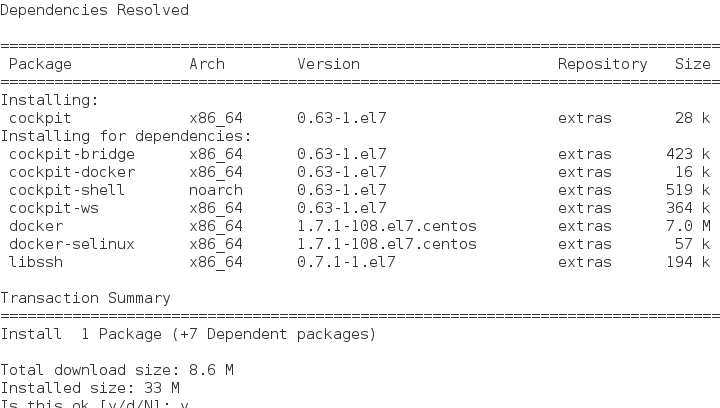 Let’s see how we can install and use it on CentOS 7 operating system. First of all, make sure you have “Git” installed on your system, launch your system terminal and run following command to install Git. Cockpit is a part of CentOS 7 Atomic host image, run following command to clone this image to your Centos system. This is how the successful clone process should look like. Once the clone process is complete, go into the newly created directory. Here copy “virt7-testing.repo” file to yum’s repository directory. 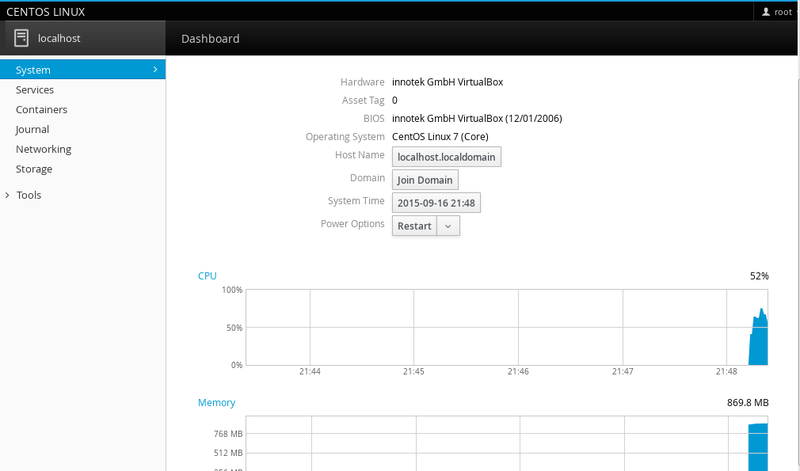 That’s it, our CentOS system’s yum should be able to install cockpit now. Run following command to install it. Launch your web browser and load http://localhost:9090 or http://yourIP:9090 (replace yourIP with your actual IP address). It will load Cockpit web interface for your. 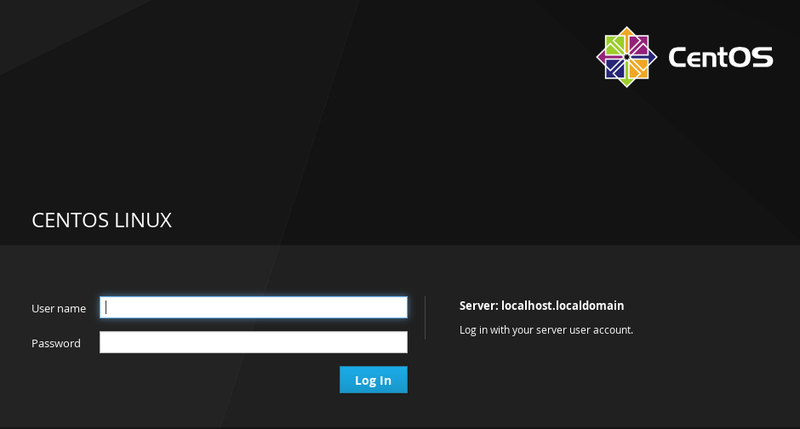 Login with your centos system’s root/administrator account login details. Here is your monitoring system loaded for you. Start monitoring your system’s health and service’s status using this wonderful tool. Cockpit is under consistent development and getting proper bug fixes and new features. It is an amazing monitoring system for Linux system administrators, although still at the beginner level, it has to go a long way ahead. Try it out today, you will like its simplicity and power. You can visit its official website for more details about this project.